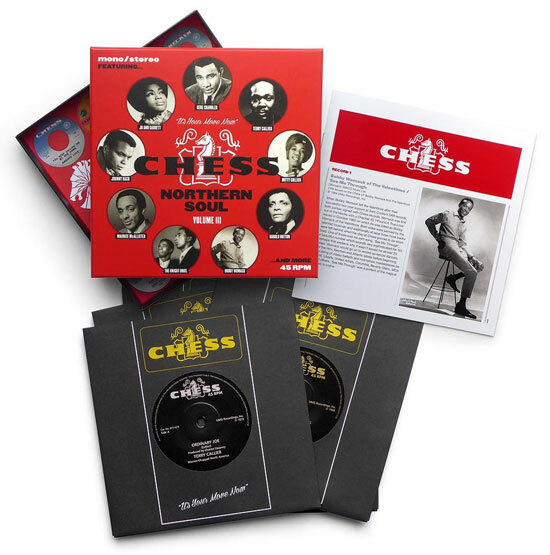 This is actually out tomorrow, so get your order in now for the Chess Northern Soul Volume 3 vinyl box set if you want it. Of course, this is the third instalment of a series (you can read about volume 2 here and volume 1 here), with the new box following much the same formula. This is a 7 x 7inch vinyl set, with the tracks sourced from the iconic Chess, Checker, Cadet and Argo labels, all with an eye on the dance floor. Each track comes in a replica UK Chess livery (black/silver and black/gold labels in a black and yellow label sleeve) and in a presentation box with an 8-page leaflet featuring detailed notes by compiler Ady Croasdell, a man who needs no introduction, Each one is also individually numbered and includes a download card. 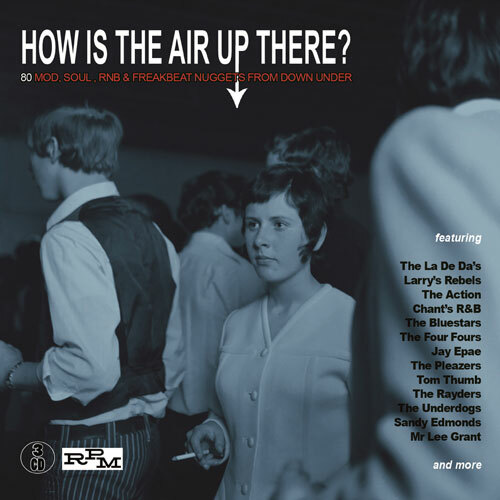 Standouts include Maurice McAlister’s stormer ‘Baby Hang On’, Mitty Coiller’s ‘Pain’ (a popcorn and later mod favourite), Harold Hutton’s ‘Lucky Boy’ (an in demand ‘shaker’ from 1965, a first time on 7” appearance for Bobby Womack’s ‘See Me Through’, Jo Ann Garrett’s ‘Foolish Me’ (a popular LP dance track and now on a 7” single) Terry Callier’s sublime and ultra-rare ‘Ordinary Joe’ and the super-obscure ‘Wait’ by Jeanette Nellis, described as a ‘holy grail rarity’ from 1963, with only a couple of known original pressings in the hands of collectors. Want the full listing? See below. As I said, the box gets an official release tomorrow and as ever, it isn’t a cheap option. 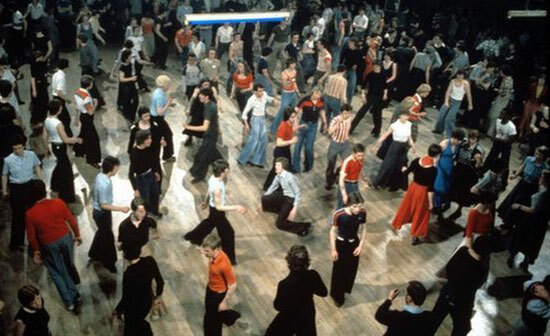 If you want the Chess Northern Soul Volume 3 vinyl box set, you can get it for £57.53.